In this page we are to discuss about the topic solving linear equations with two variable by using graphical method. When we are solving equations of two variables then we can get three types of solutions those are both lines are intersecting, both lines are parallel, and both lines are coincident.The graph any linear equation will be in the form of a straight line. 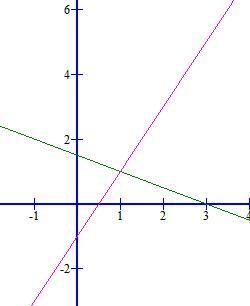 If we graph the given two lines we will have these kind of solutions. 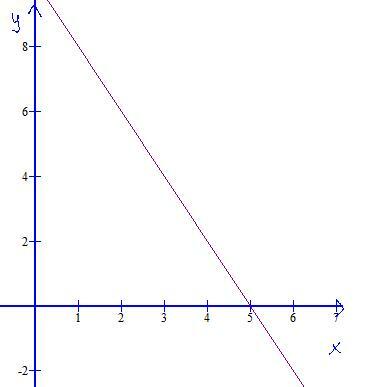 In the graph below we have two distinct lines which are intersecting exactly at one point. This is called independent system of equations and the solution is always some (x,y) point. That is the solution for these kind of equations will be unique. Here we can see only one line. But actually it is the same line drawn two times. 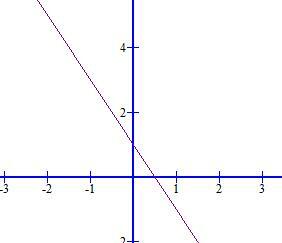 Which shows that the lines intersect at each point along the whole length. In other words we can say the second line is also lying on the first line. This is called a dependent system and the solution is whole line . Which means it is having infinitely many number of solution. here we have two distinct lines which are parallel to each other. since parallel lines never cross, there is no solution. 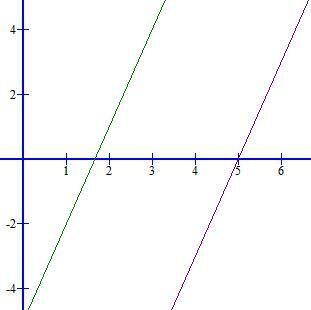 From the following graph we will come to know that both the equations represent the same line. These are the examples of solving system of equations.